The Libman Company has been in the business of helping to clean homes since 1896. It also remains a family-owned business that started making corn brooms and has evolved to produce many other product to keep your home clean. Pieces of Me, reviewed their amazing cleaning products that we are giving away as part of our Holiday Gift Guide. Please click here to read about the review! The Libman Company wants to make cleaning your home easier this holiday season by giving away these 3 products described below to 6 Ottawa Mommy Club readers! This giveaway is open to Canadian residents and ends at 11:59 EDT on December 14th, 2015. I would love to try their Gentle Touch Foaming Dish Wand and the Wonder Mop. I’d like to try the Tornado Mop! I would love to try the tornado mop! I would like to clean my house with the tornado mop!! im all about the gator mop! anything to make the job easier. i’d love to clean my house with the jumbo cotton wet mop. The tornado mop looks pretty nifty. I would love to use the Microfiber Cleaning System or Tornado mop to clean the house. I’d like to try the easy grip scrub brush! I’d like to try the Gator Mop or the Freedom Spray Mop. I would love to use the Tornado Mop! The name alone sounds like exactly what I need here with the hubby, pets & grand-kids! I would like to try the toronado mop! Aside from these mops, I would also love to try the Hardwood Floor Cleaning System. I like the Freedom Spray Mop. I like the look of the Tile and Tub Scrub. I’d like to try that on my showers and tub. I’d love to try the Tornado Mop. my daughter is learning how to clean and help out – the Microfibre Dusting Mitt would be great! I like the Gator Mop. I love to try the Tornado Mop. The Tornado Mop would be great. I`d like to use the Jumbo cotton wet mop to clean my home! I’d love to try the microfibre wand, especially for kitchen crevices. I would like the wondermop. I would love to try the wonder mop as well. I like the Jumbo Cotton Wet Mop. I would like to try the Jumbo Cotton Wet Mop. As I reviewed products, my granddaughter (1 years old!) went into my purse, took out my black powdered eyeshadow and threw it, making it explode all over the hardwood. I definitely need the Tornado Mop! To keep me adoring my little Tornado! I would like to try the Wonder Mop or Freedom Spray Mop! I need the wonder mop! I like the wonder mop, creative design, I think. I would like to try the Blue Blend Wet Mop. Would love to try the tornado mop the most. I like the Torando mop. I would love to try the broom as I haven’t had the best of luck in finding the perfect match as of yet. I own a victorian house and there are spaces in between the flooring so you really need to get right in there and it has to be a good product to find the right success! I would like to try the Microfiber Gator Mop. The big job kitchen brush! to try the Wonder Mop. I’d love to try the Tornado Mop! I would choose the Tornado mop. The micro fiber gator mop! I would like the Tornado Mop. I could really use the Freedom Spray Mop. Looks good for fast cleaning. Like to try the useful microfiber duster. wow, their co. has been in busy along time. The Tornado Mop looks like the ticket! I’d love to try the Freedoom Floor Duster. The Wonder Mop looks like it can handle tough jobs! I would love to try a wonder mop. Would like to try these products,it looks like they can handle tough jobs. The Tornado mop looks amazing! I love the Precision Angle. The No Knees Floor Scrubber would be great for me and my bad knees. 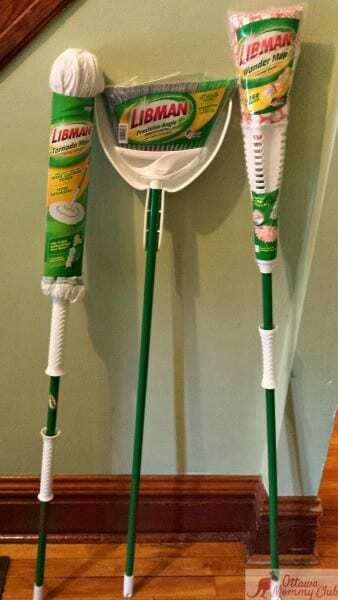 I love Libman products period.